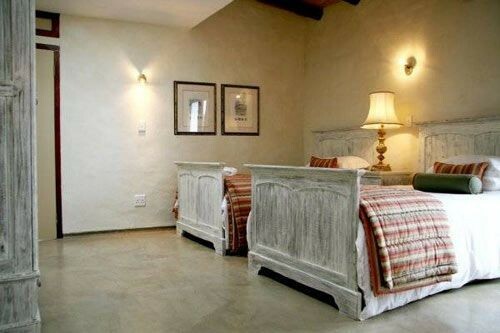 Paternoster Coves consists of 3 luxury self catering units, namely, Ardarragh, Acre and Erin decorated with beautiful antiques and fabrics imported from Ireland. 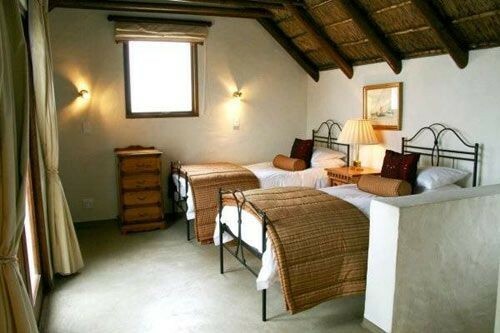 We are situated in a quiet cul-de-sac overlooking the bay with magnificent views and breathtaking sunsets. 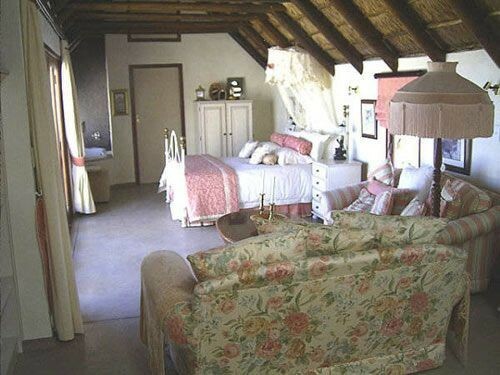 Take meandering walks on quiet sandy beaches 150m away, visit historical Cape Columbine lighthouse and nature reserve or try Kayaking, snorkeling and horse riding. 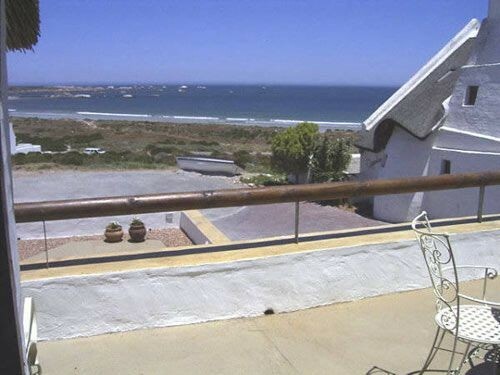 The not so active can relax by a sandy cove and savour idyllic Paternoster! Acre is a lovely 2 bedroom, 2 bathroom unit with communal lounge, kitchen and dining area and can sleep up to 4 (plus 2 on the sofa bed). The Double bedroom with Queen size bed has a bath en-suite and the twin bedroom has 2 three quarter beds and a sofa bed with a shower en-suite. The large leather sofa provides optimum comfort while you enjoy the local channels on our T.V. (Your own multichoice card is required for all other DSTV channels). 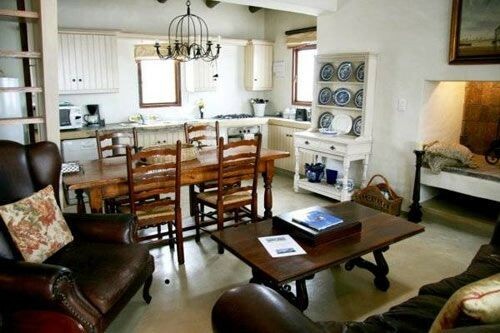 The kitchen has all the necessary equipment including dishwasher, microwave, fridge gas hob and electric oven. Indoor and outdoor braai facilities on site. Ardarragh is an open plan unit with lounge, kitchen and dining area with a screened off Queen size bed and a loft room with 2 single beds and a balcony. 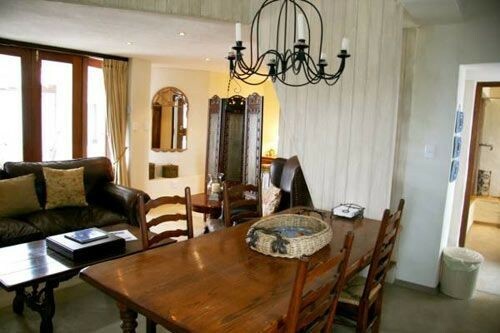 The unit is complimented with a large leather sofa and solid English oak dining room table. The local T.V. channels are provided but for additional channels please bring your DSTV card. All necessary kitchen equipment including dishwasher, fridge, microwave, gas hob and electric oven is provided. Indoor and outdoor braai facilities on site. 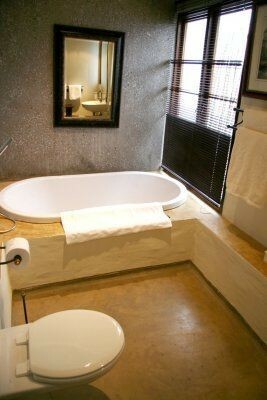 Erin sleeps 2 and is an open plan unit including kitchen, lounge, queen bed and bath en-suite. 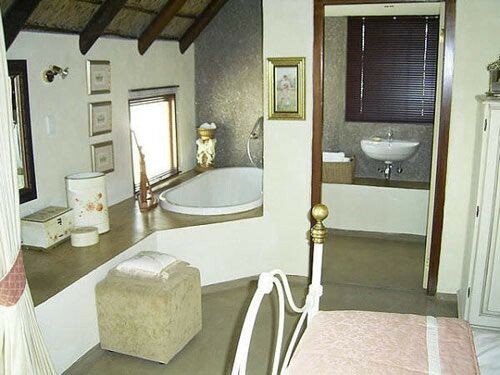 Special features include the indoor braai and views over the bay from the bath and patio. The T.V. has all local channels included (please bring your DSTV card should you wish to watch any additional channels). 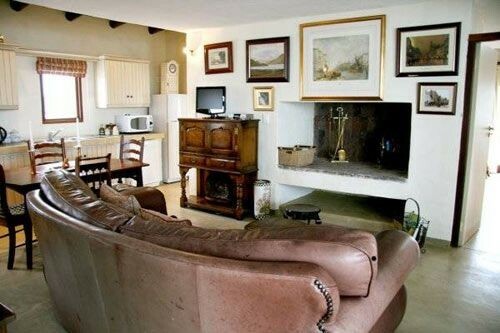 The kitchen has all necessary equipment including gas hob, electric oven, fridge and microwave.